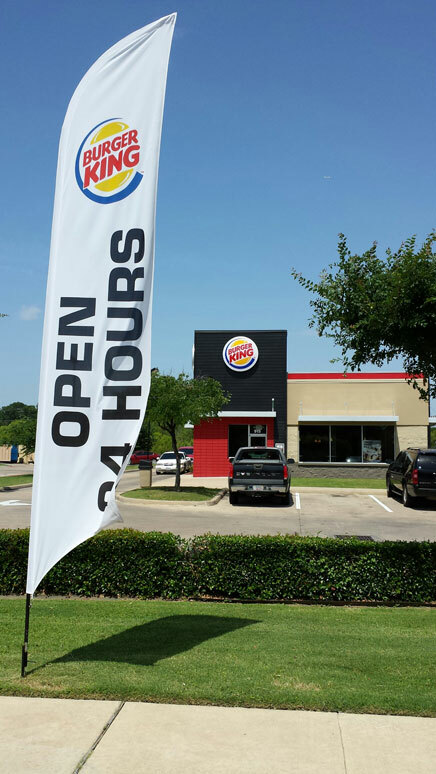 Advertising flags are one of the best and most cost effective ways of reaching your customers. No advertising campaign is complete without these eye level magnets, drawing customers in to your business or event. Depending on your event, you may need just one flag or dozens of them, either way, we’ll make sure you get the attention you deserve! Advertising flags, also called promotional flags or feather flags, are tall, brightly colored, branded flags that grab the attention of customers who might not otherwise notice your messaging. Custom made just for your location, they are a grand opening or special event necessity. Combine them with a giant advertising balloon and customers will not miss you. With eXtreme Inflatable Promotions, advertising flags can put your business front and center, right where your business needs to be!